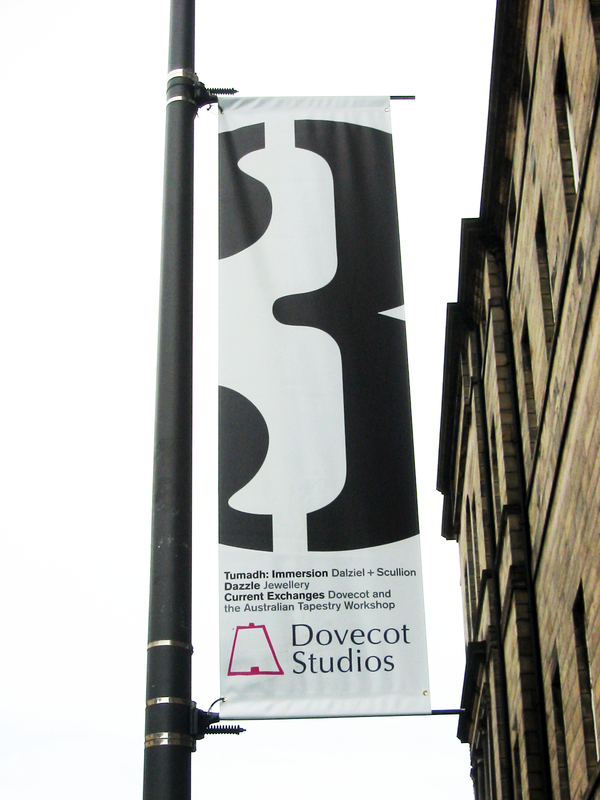 I'm very pleased to see that the banners I designed for Dovecot Studios' Festival exhibitions are up in Chambers Street in the centre of Edinburgh. The photographs belie the size of the banners, which are 76 x 280 cm. They were fabricated by McRobb in Edinburgh. 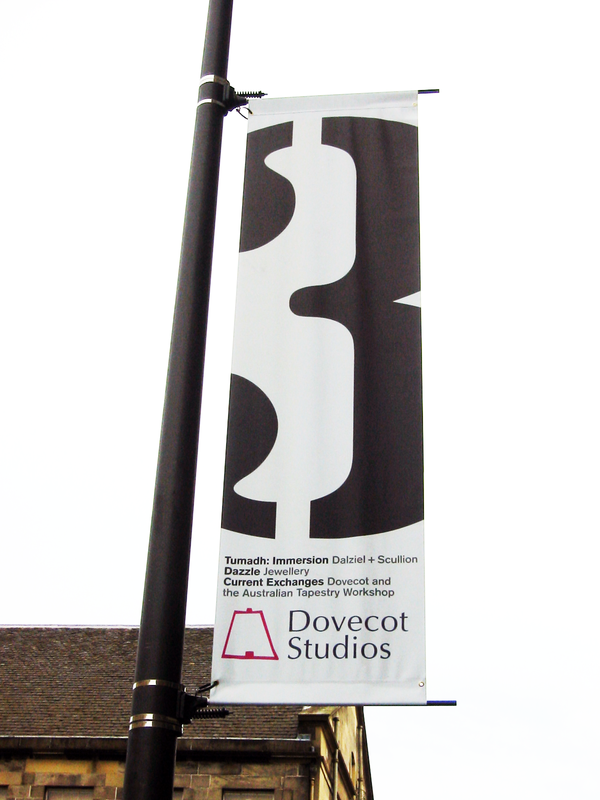 I designed a slightly different (and slightly smaller) banner to hang outside Dovecot Studios. 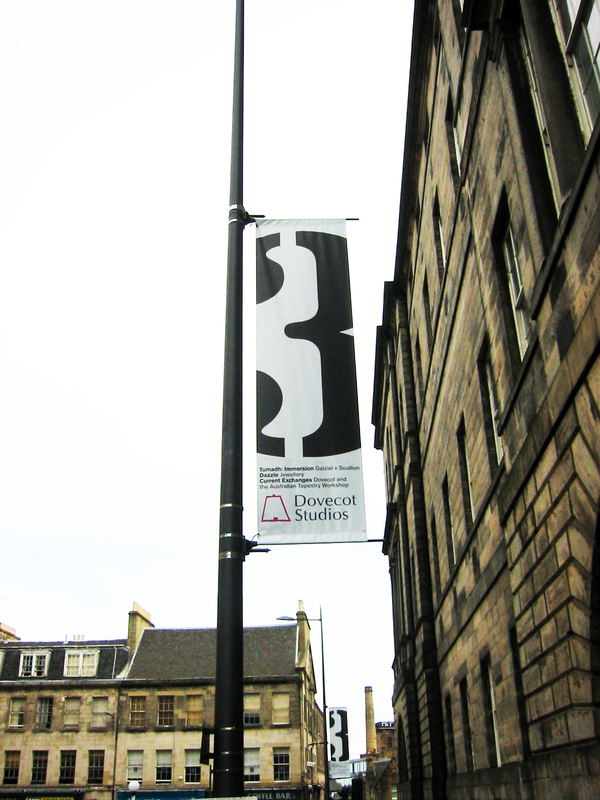 The banners use the three logo that I developed for the invitation cards and leaflets; the white background is very distinctive against the dark Edinburgh stone and (sometimes) blue skies of August.